Typically I’m not a person for one-shots. However, when one features the three infamous brothers of the Valiant universe, how can one stay away? The story is presented Princess Bride style (which even gets referenced) as Archer tells a sick Faith a tale that puts the King Arthur story into a new twist. 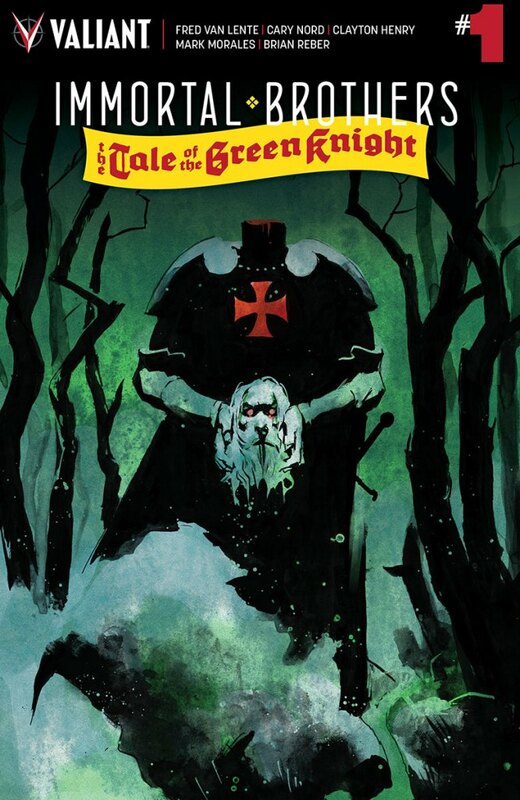 Gilad, going by Sir Gawain back then, receives a challenge from someone who is seemingly immortal themself, the Green Knight. Being unfamiliar with this enemy and the threat he poses, Gilad seeks out his brothers, Ivar and Armstrong for some assistance. The story is lots of fun, especially since Van Lente knows the ins and outs of how to write the trio so well. The only downside of the issue is that it is only a one-shot. It feels like the first issue of a larger story from the setup and especially the sudden way the story ends. There’s a big reveal, the start of what looks to be an epic battle, and then we cut to black. You’ll love what we are given in the issue, just be ready for a bad case of blue, well, you know what, by the end.